Investors are dumping the pound following Britain's vote to leave the European Union on June 23. The pound has dropped roughly 15% since the referendum day, when it reached $1.50. The Bank of England also issued a gloomy statement on Tuesday, saying the economic outlook for financial stability is "challenging." The central bank announced an easing of capital requirements for banks and said it would provide more support for the financial system. Many analysts expect the pound to keep plunging. Kit Juckes, a global strategist at Societe Generale, said the bank's medium term target for sterling is $1.23. Before the vote, George Soros said the pound could slump 20% to $1.15. The legendary investor whose massive speculative bet against the pound in 1992 earned him a reputation as "The Man Who Broke the Bank of England," said his warning was based on "six decades of experience in financial markets." The pound reached $1.05 in February 1985, and rallied for the rest of the year. The last time it fell below $1.30 was June 1985. There is as upside to the plunging pound. The FTSE 100 index has bounced back to pre-referendum levels within a couple of days. That's because the blue-chip index is composed of big global companies that sell mostly to the world, rather then domestically, so they get a boost from the cheap pound. 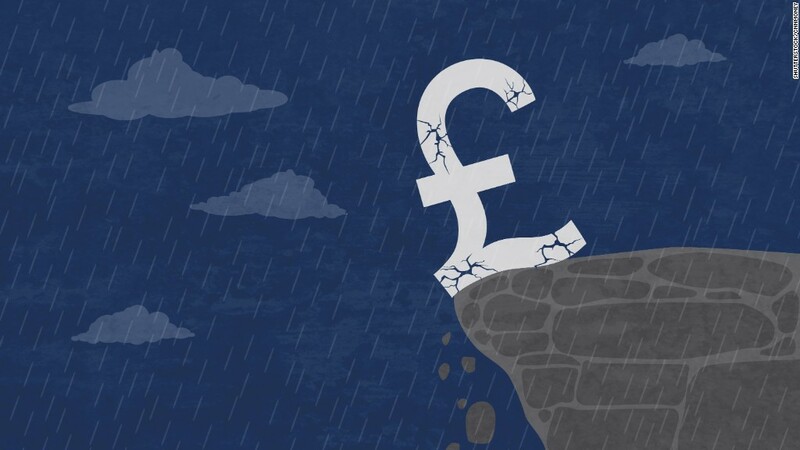 "While sterling's fall is clearly a symptom of other problems, it may also be part of the cure," said Julian Jessop, chief global economist at Capital Economics. "Inflation will be somewhat higher than otherwise, but net exports should benefit."